News Desk: Tensions between Saudi Arabia and Canada has intensified. Saudi Arabia suspends flights after suspending all diplomatic relations with Canada. Also Saudi Arabia has decided to transfered all the Saudi students from Canada to other countries. Saudi authorities have announced that all scholarships, training and fellowship programs are being suspended in Canada. This program is now anywhere else will be moved. 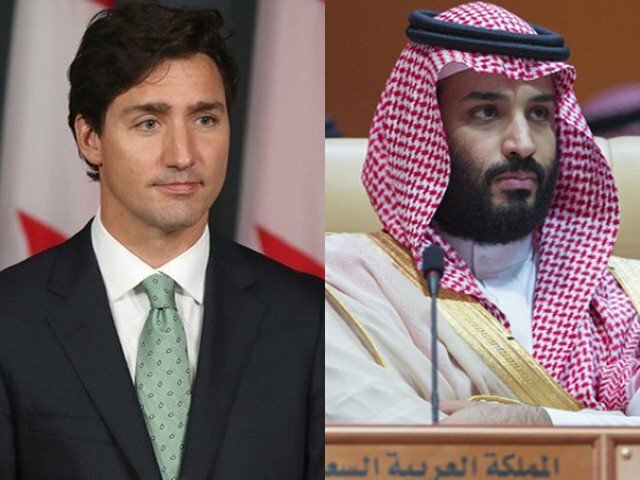 Saudi Arabia says trade and investment contracts has halted with Canada. And Canada's assets have been frozen in Saudi Arabia too. This is the response of Saudi Arabia after Canadian Foreign Minister and Canadian Embassy in Saudi Arabia emphasized Saudi authorities that "the members of the civil society" should be release instantly. Saudi Arabia's ambassador to Canada has already returned. But Toronto says Canada will continue to raise voice for human rights.